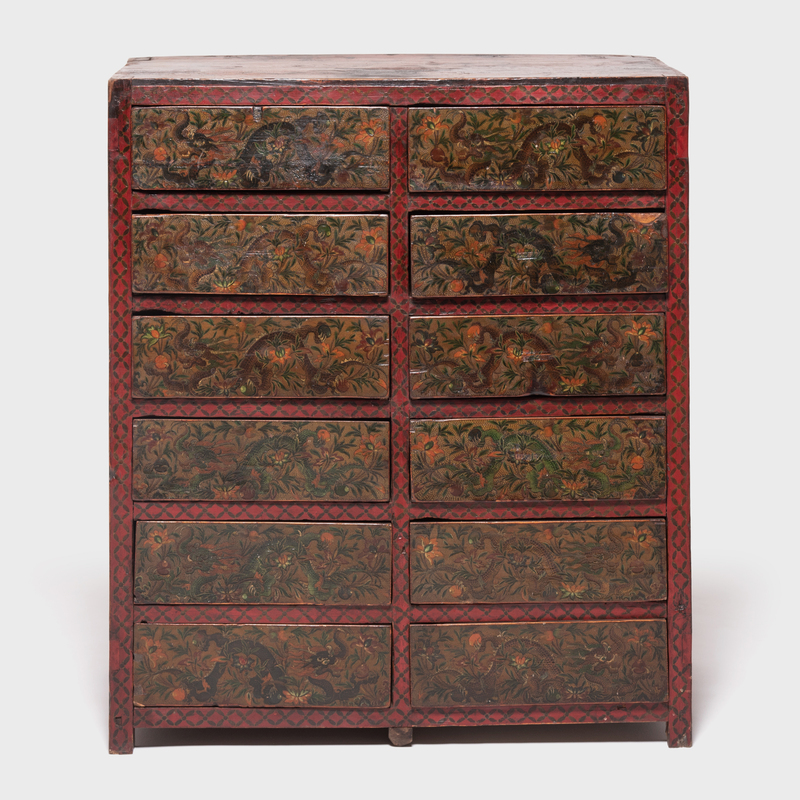 W: 73.5" D: 16.25" H: 33.75"
We’ve named this 19th-century chest after the Chinese character for “middle” or “center” for its symmetrically arranged open shelves. 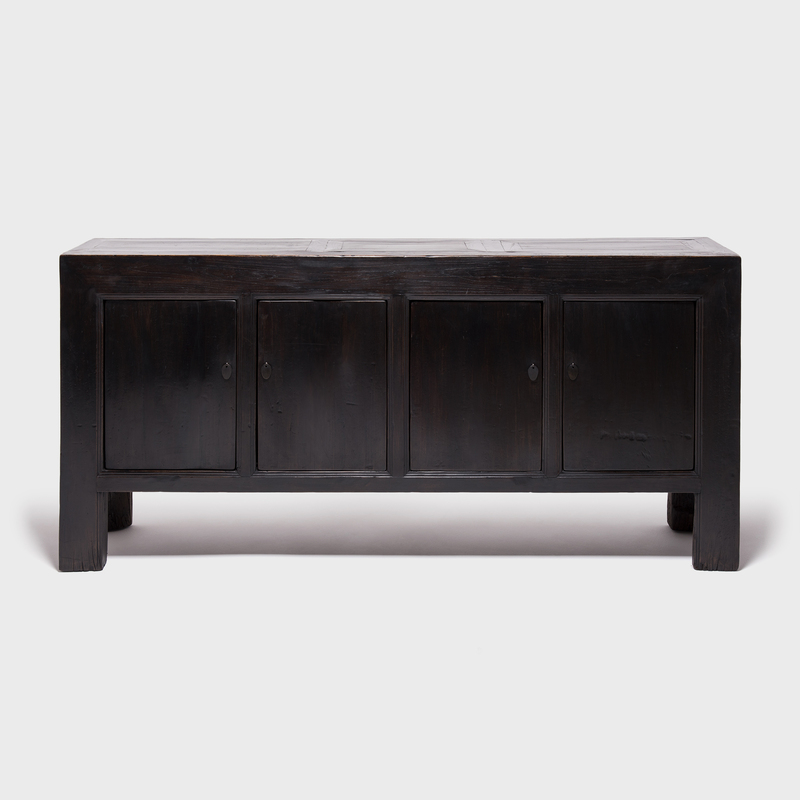 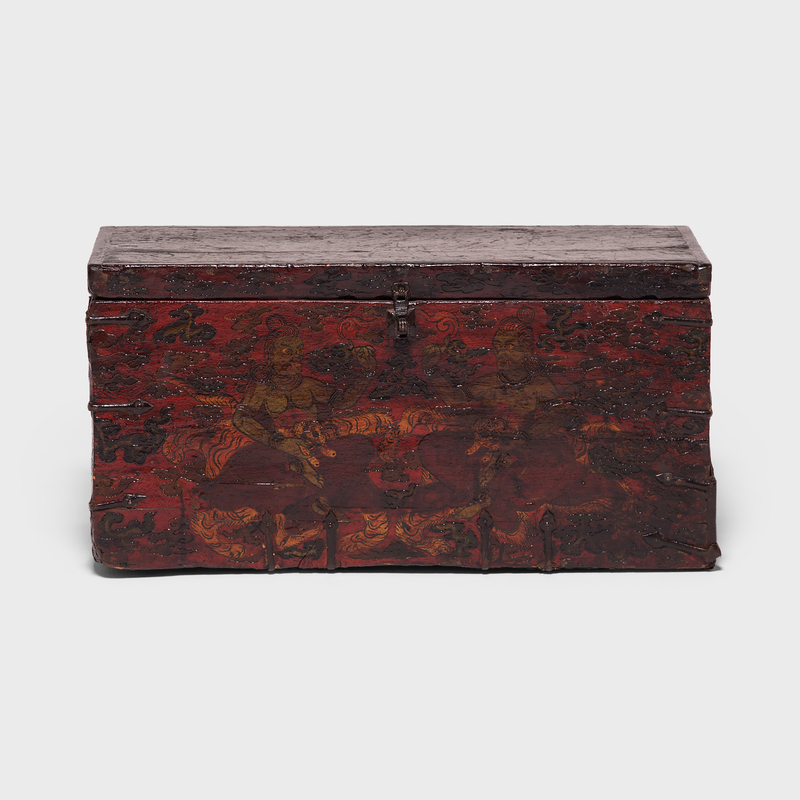 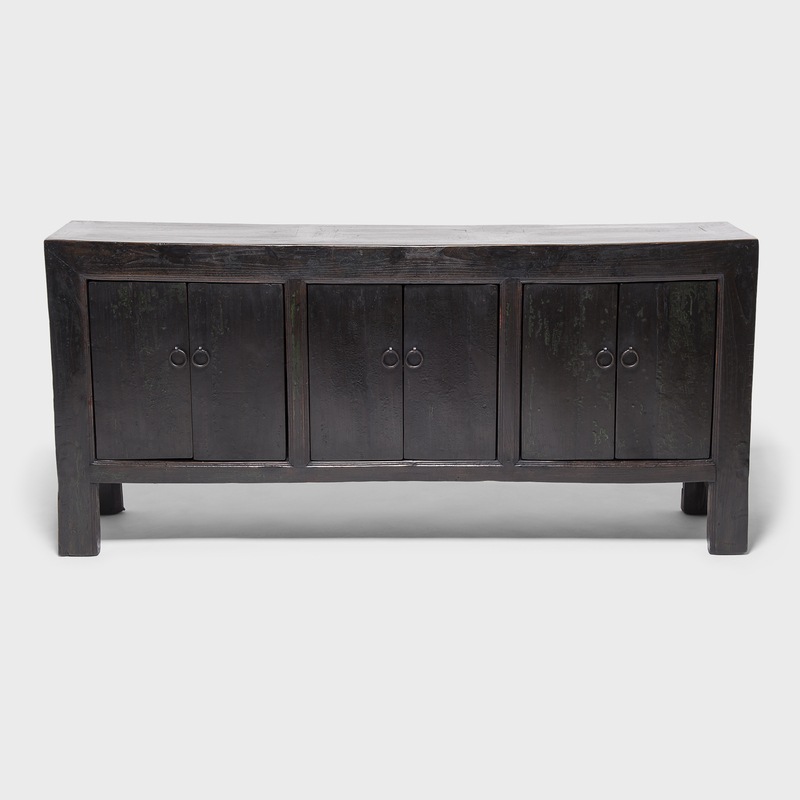 Made of northern elmwood, the chest’s rich black finish and straightforward design once provided the perfect backdrop for the prized possessions of a Mongolian family. 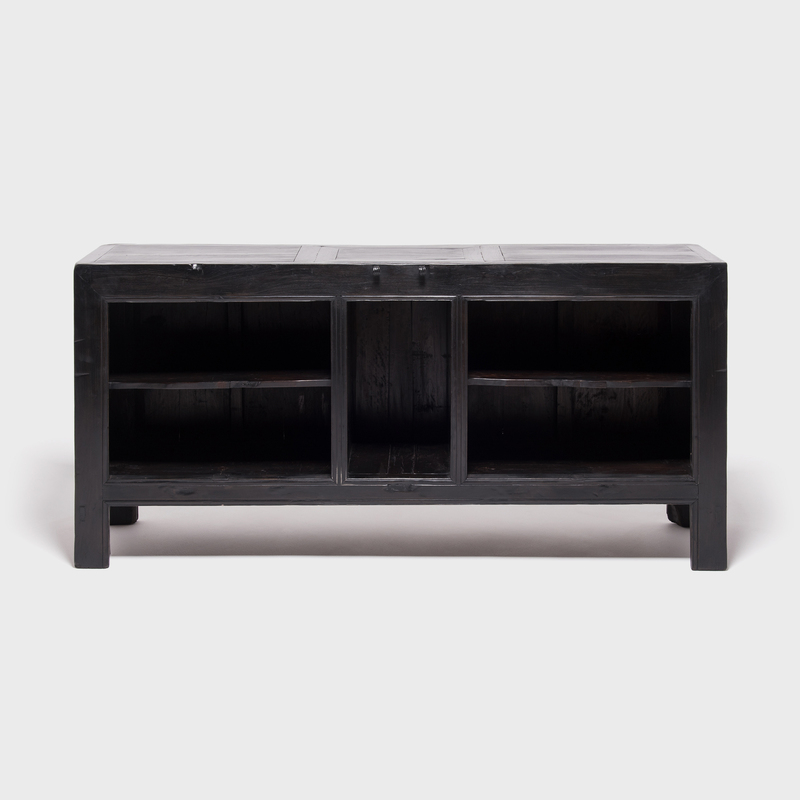 The subtle details of its curved shelf edges, noodle molding, and frame-and-panel top attest to its thoughtful construction.